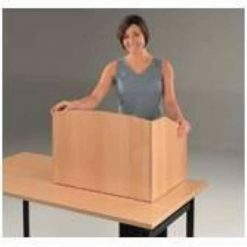 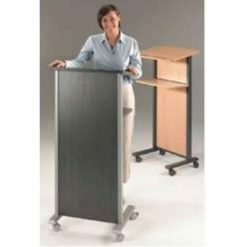 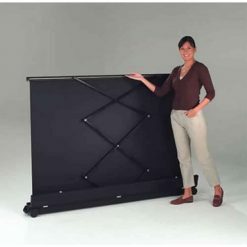 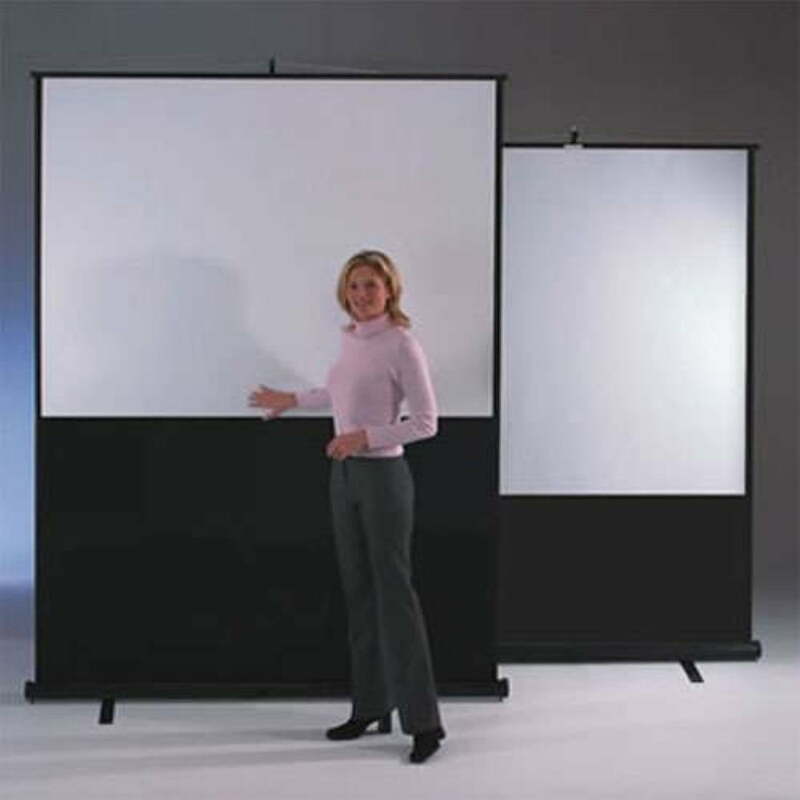 The Leader Portable Floor Screen is practical and effective, giving both excellent quality and portability. 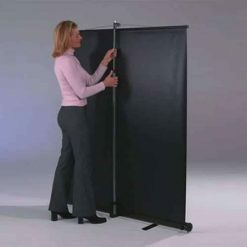 The screen case has a built in carry handle, making it easy to transport. 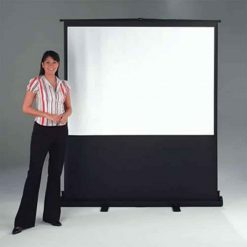 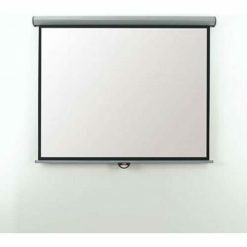 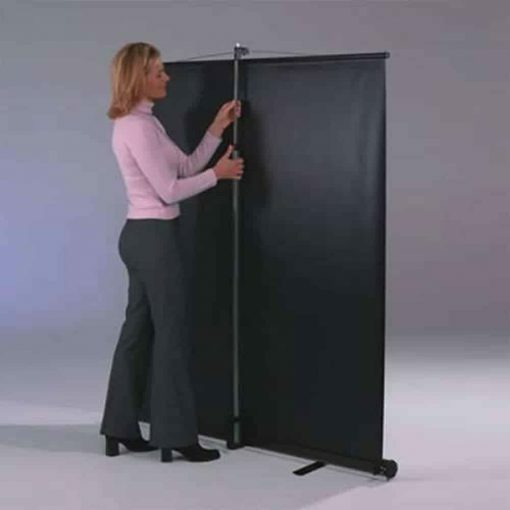 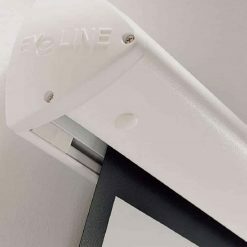 The Portable Floor Projector Screen is fully height adjustable and has inbuilt keystone elimination, allowing overhead projection to be displayed without distortion of the image. 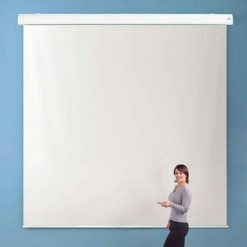 The screen itself is a washable durable matte white – easy to maintain. 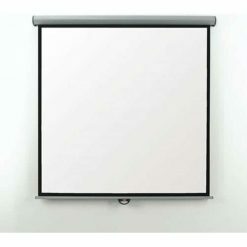 The black border around the white screen serve to create a visual frame for the projected image.